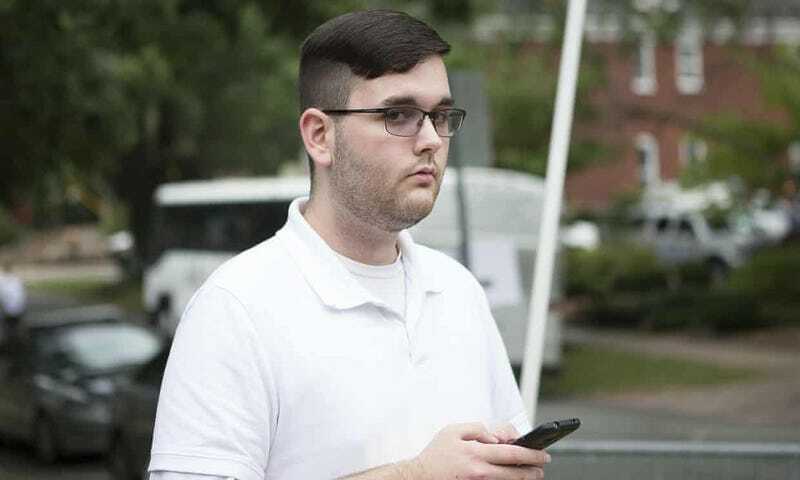 On August 12, 2017, James Alex Fields Jr. plowed his car into a crowd that was peacefully protesting the infamous Unite the Right rally in Charlottesville, Va., injuring 28 people and killing 32-year-old activist Heather Heyer. Nearly two years later, Fields, the white supremacist who was convicted of murder in that deadly car attack on counter-protesters, pleaded guilty to 29 federal hate crime charges on Wednesday in a desperate attempt to avoid the death penalty. According to NBC News, a 30th charge, which was brought under a provision of the Civil Rights Act of 1968 and would’ve included a potential death sentence, was dropped. It had accused Fields of “racially motivated violent interference with a federally protected activity”—which in this instance was the counter-protesters using the public streets and sidewalks of Charlottesville. While Heyer was the only one to lose her life as a result of Fields’ heinous actions, he admitted his intention to kill others, according to the U.S. Department of Justice. After the hearing, Heyer’s mother, Susan Bro, expressed indifference at the deal that spared the life of her daughter’s killer. Cullen expressed hope that this deal will spare survivors the horror of reliving that fateful day. Fields will return to court on July 3 to be sentenced.